Currently Islam and Muslims are being discussed in negative terms all over the western media. The debate about Islam, Taliban, Sharia and clash of civilization has forced me to rethink about Islam as it means to me. Islam to me is an inward journey that starts with a simple declaration: “There is no God but Allah and Mohammed (pbuh) is the messenger of Allah”. This declaration does not make a person Muslim without following the commandments of Almighty in Quran as demonstrated by the example of Mohammed (pbuh) by his actions during his life. The life of prophet provides a criterion to judge a human being, a nation or a society. I have highlighted the basic characteristics that Muslims have to develop from life of the prophet Mohammed (pbuh). From my perspective, these are universal values for all humankind and not limited to Muslims. Here are the milestones for this journey. Prophet Mohammed (pbuh) was known as truthful and honest (Sadiq and Amin) long before he received divine revelation. In his first call prophet (pbuh) gathered people of Mecca and asked them what they thought about him. They unanimously told him that he has always been truthful and honest. Then he asked them, “Would you believe if I told you that there is an invading army coming from behind hill?” They again told him that they certainly believe him because he has never lied to them. The criteria for being a Muslim are truth and honesty. Without arriving at this station in life, the onward journey cannot continue. This is perhaps the most difficult thing to do even in the 21st century. We can look at the contemporary Muslim world and judge for ourselves how far we are from this station. Look deeply and we find the racial, ethnic, tribal and religious sense of superiority. The affluent countries of Middle East do not permit even highly educated Muslims equal opportunities like USA or Europe. This tenet of Islam was practiced by Sufi Saints in South Asia. In their Dargahs, they started providing food for people on equal basis. The people in India had never seen such a thing in their lives. In a caste ridden society of India of the 10th century low caste people could not believe in such equality. Sufi Saints generally avoided the company of Kings or local rulers. They never treated the rich people differently from common people. This gesture alone converted a large number of low caste people in India. This tradition still continues all over South Asia at the Dargahs of Sufi saints. Immediately after prophet (pbuh) started spreading the word of Islam, he was persecuted in Mecca. After seeing the gradual progress of Islam, the people of Mecca insulted him, physically abused him and later on offered him all the worldly things. He categorically told him that even if they give sun and moon in his hands he would not stop preaching the message. This lesson was followed by many people at different times in the history of Muslim World. Sufi Saints declined to go to the court of the kings and always persevered in their message. Imam Hussein gave the humanity a shining example standing up for righteous cause of Islam. This foundation led Omar to establish justice everywhere in the realm of Muslim World. In fact, this aspect was largely responsible for the spread of Islam. As long as Muslim followed this principle, they continued to succeed in the expansion of Muslim rule. The decline started with inequality of justice or lack of it. Prophet (pbuh) lived a life of simplicity and poverty when he was religious leader and the head of a state. He mended his own shoes and wore coarse garments, milked the goats, swept the hearth, kindled the fire and attended the other menial jobs of the family. The community of Medina grew wealthy while he slept on a palm mat. His food being dates and water. His family would go hungry many nights successively because they could not get anything to eat in the evening. There are not many examples of austere living in the history of humankind. Compare his life with the life styles of current leaders of Muslim countries and we find how far the Muslims have strayed away from path chosen the prophet (pbuh). His example for followed by Sufi Saints like Nizum Din Aulia in India. Every day lot of money was donated to Sufi Saints. By the end of the day, all money was given in charity to widows, poor and needy people. The Aulia Karam kept money only for the food that was also used for feeding the hungry people. This is the defining characteristic of Prophet Mohammed (pbuh). Throughout his life, he always showed mercy even when people were cruel to him. He forgave his mortal enemies who fought him in war and planned his assassination. The people who use violence in the name of Islam should carefully study the example of Mohammed (pbuh), if they profess Muslims. This is in fact the essence of Islam. Later on Salahud Din Ayubi also gave respect to the Christians and Jews at the end of crusades. 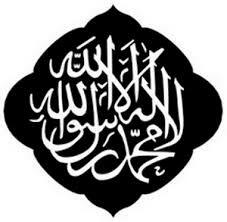 Therefore, before anyone professes to be a Muslim he or she must look towards the destination. Not everyone is expected to reach enlightenment at the end of this journey. However, it is imperative that we understand the spirit behind the Islamic rituals. These rituals help us in the preparation of this journey but they are not the ultimate goal. If the rituals do not inspire people to do good deeds (Amle Saleh) then these rituals are like a body without a soul. Every individual, society or a nation that professes to be Islamic must look at the criterion established by the example of Prophet Mohammed (pbuh) and Quran. The essence of Islam is the service to the humanity in every possible way. I like to close by quoting Sufi saint Khawaja Moeenud Din Chishti who said, “A person should develop generosity like a river, kindness like a sun and humility like earth.